Police are investigating yet another bomb threat in New York City after a suspicious package was delivered to a restaurant owned by vocal Donald Trump opponent, Robert DeNiro. Another suspicious package, similar to the ones sent to Barack Obama, Hillary Clinton, Joe Biden and Bill Clinton on Oct. 24, was intercepted in New York City in the early hours of Oct. 25. 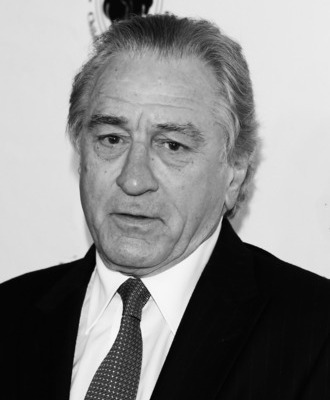 This time, the package, which appears to contain a pipe bomb, was found at the TriBeCa Grill, which is owned by Robert DeNiro, a vocal opponent of Donald Trump. Law enforcement sources say the parcel is “the same” as the pipe bombs sent to the top Democrats, as well as the offices of CNN, one day earlier, according to the New York Post. It is unclear at this time if the packaged was addressed to DeNiro himself. “This is clearly an act of terror, attempting to undermine our free press, leaders of this country through acts of violence,” New York Mayor, Bill de Blasio, said, after the explosive was discovered at CNN on Oct. 24. “I want to make it clear that the people of New York City will not be intimidated. That we’re going to go about our lives undeterred.” The NYPD and bomb squad were on the scene quickly after the next package was discovered at DeNiro’s restaurant, but have not provided any updates at this time.